Why is Posture in Prayer Important? Posture is [generally speaking] the visible expression of an inward attitude. What are the bodily postures people assume in these circumstances? “…if we really desire to imitate God, we must take care that ceremonies do not express more than is in our minds, but that the inward feeling directs the eyes, the hands, the tongue & everything else.” J. Calvin, Commentary on John 17:1. “We should not normally, however, attempt to communicate this inward feeling of the heart to God without any outward form of expression. It is fitting, though not, of course, necessary, that the attitude of the heart should be reflected in a posture of humility, & with the hands & eyes so directed as to indicate that our desire is that our heart should be raised to Heaven from whence alone can come our help. The ideal in prayer is that the heart should ‘move & direct the tongue,’ & that the tongue ‘should not go before the heart,’ & that ‘the body should follow the mind of its own accord.’ Indeed, the feeling of the heart should be so overpowering that ‘the tongue spontaneously breaks forth into utterance & our other members into gestures.’ Nevertheless there are times when the heart is cold & sluggish. At such times both the external exercise of the body & the use of the words & singing by the tongue can come to the aid of the heart, provided that the heart responds to the external ceremony, & the feeling of the mind goes along with the words that are used, so that hypocrisy is avoided.” Ronald S. Wallace, Calvin’s Doctrine of the Christian Life, p. 283-4. “Christians often think that prayer is simply a matter of using terminology & putting standard ideas in an acceptable verbal format. God pays attention to the inflection of our voices, our expressions, our posture, & other forms of body language.” Richard L. Pratt, Jr., Pray With Your Eyes Wide Open, p. 163. A Practical aspect is that our minds often follow our posture. For example, if we give ourselves over to slouching, eyes cast down & shuffling our feet then depression can follow. On the other hand, when one is depressed picks up her pace, looks up & looks people in the eye, etc., then a more wholesome attitude usually ensues. Do the Scriptures Have anything to say about Postures in Prayer? Psalm 143:5-6 – Though it is an aspect of the intensity of crying out for mercy, the picture is one holding out his hands to receive mercy. A sign of reception. Conclusion: As Richard Pratt noticed, “…we have seen that communication in prayer goes far beyond words. We express ourselves through weeping or singing. 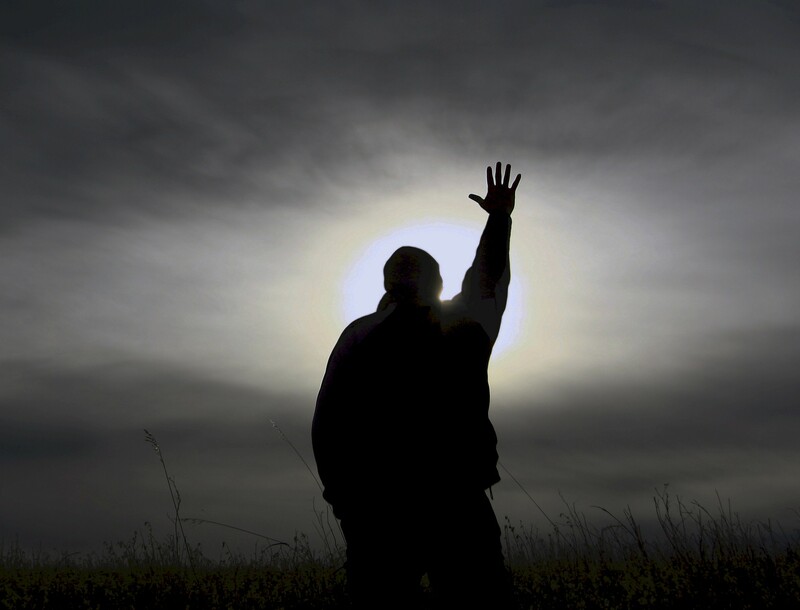 We may demonstrate our attitudes through kneeling &lifting our hands. We may enhance our prayers through the practice of fasting. As we make these elements a vital part of our prayers, our communication with God will be more effective & rewarding than ever before.” Because our whole body & soul was created by God, & our whole body & soul are partners in sin, & our whole body & soul is being saved by Christ, therefore our whole body & soul out to be re-engaged in the privilege of prayer. Let me encourage you, then, to lift up your heart, soul, eyes & hands in prayer to our God, as you fall on your knees before Him to seek His face!